You'll be £25.00 closer to your next £10.00 credit when you purchase The World Sea Power Guide. What's this? Compiled by the author of Jane's Air Forces of the World, this book is a must for naval experts and enthusiasts.rnrnIn one volume the reader will find the composition and details of all naval elements of a staggering 137 nations' armed forces including paramilitary organizations as the US Coast Guard Service.rnrnThe book starts with an introduction based on the situation today and the response of the leading maritime powers. This is an interesting period with considerable uncertainty for the Royal Navy following the Strategic Defence Review. Many other countries, including Australia and Spain are boosting their naval strength to achieve strategic reach, while piracy has become a major problem in at least four different areas of the world. In each case, the history is followed by details of current fleet sizes, composition and deployments. An invaluable reference work listing the history and current composition of maritime forces world-wide. A "snapshot" of the navies worldwide. One cannot but be impressed by Wragg's efforts to comprehensively cover the world's naval forces. Wragg's book has far more depth than those visited for comparative purposes during the course of compiling this review and must be considered superior in reliability having appeal to the naval enthusiast. Well organised in alphabetical order by country, it provides a brief history of each nation's navy and paramilitary coastguard organisations, alongside details of current fleet sizes, composition and deployments. This is of course important information for any professional seafarer to know, but there is also a geeky pleasure to be obtained from perusing the book in one's free time. 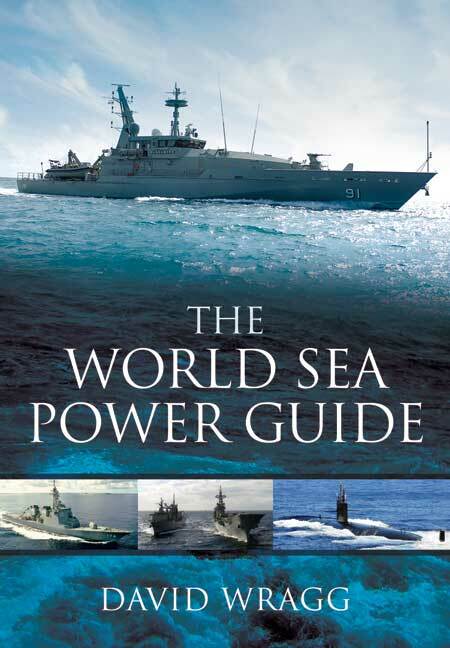 With clear headings, a proper bibliography and illustrations throughout, The World Sea Power Guide is a good reference book – for work or for the pub quiz. If you want to know the history of the naval fleets or parlimentary organisations of 137 different nations, together with an overview of their current fleet structure, capabilities and personnel, this is the book for you. It is an easy-to-read overview of the world's naval forces today. David Wragg has published several highly praised books on railway history, and he produced a textbook for the old Chartered Institute of Transport. He has also written on railways for the Sunday Telegraph, The Spectator, The Scotsman, and the Yorkshire Post. His Wartime on the Railways was reviewed by Rail as 'very readable' and by Railways Illustrated as 'as a fascinating insight and also an important record', and Railways Illustrated chose his Southern Railway Handbook as 'Book of the Month'.